All parents want their children to have healthy diets—and part of that is getting enough protein. With picky eaters, that can feel hard. But it doesn't have to be hard. Here are some things about protein that you may not know—and some ideas to make mealtimes easier. As a pediatrician, I talk with parents all the time about what their children eat. And very often I find that when it comes to giving their children protein, families feel frustrated—and worried. "All he will eat is chicken nuggets" is something I commonly hear. When babies are small it's not really an issue, because they are on breast milk orformula. But as they grow into toddlers and preschoolers and we expand their diets, that's where the worry sets in—because the age when they are expanding their diets is also the same age when they become more independent and willful. It's a power struggle that often plays out as picky eating. Enter the chicken nugget. I'm not sure what it is about them that makes kids almost universally like them; perhaps it's the same thing that makes French fries universally appealing. Some even look like French fries. And for many families it can seem like once you've started the "nugget habit," there's no turning back. But here's the thing: you don't need to start that habit. And for those of you already in the habit, there is hope. When we think of protein we think of muscles, but protein is a building block for many other parts of the body, such as hair, bones, enzymes, skin and blood. Our bodies are very good at recycling and reusing proteins as they break down, but we do need to get some from our diet. 1. Children don't need as much protein as you might think. The body is remarkably good at recycling. 2. 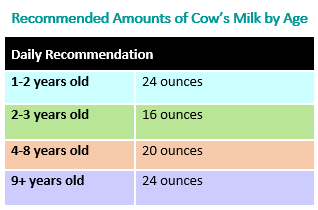 If children are drinking the recommended amount of cow's milk, they are likely getting all or most of the protein they need. Every ounce of cow's milk has 1g of protein; soy and plant-based milks do not. 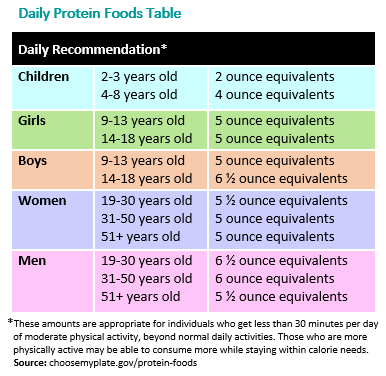 If you compare this to the recommended amounts of protein above, you'll see that milk alone could take care of all a child's protein needs until age 9! Hopefully, that eases some parents' worries. After age 9, your child is hopefully old enough to negotiate about healthy food choices. 3. There are lots of ways besides meat or cow's milk to get protein and mix it up at mealtime. Here are some other protein-rich ideas. Other animal products. Salmon, fish sticks, eggs, turkey lunch meat, yogurt, or mozzarella string cheese. Beans and grains. Soy products like soy milk or tofu. (You can even try soy "chicken" nuggets). Lentils, nut butter, hummus, oatmeal, or whole wheat pasta are more options. Vegetables. Yet another reason to get kids to eat their veggies! Peas, broccoli, and even potatoes have protein. (Not that potatoes are the best vegetable, but it's good to know they have some protein). When it comes to getting protein into your child's diet, you don't have to get into battles—or give in to the daily chicken nugget diet. There are lots of ways to do it, and with a bit of creativity and persistence, your child can get what he or she needs. No clean-plate club. Don't force your kids to eat something or finish everything, because that doesn't work well (and makes everyone miserable). Kids don't need a balanced meal at every meal of the day―what's important is achieving balance over a day or two. Keep it on the plate; have a "one bite" rule. It can take lots of tries before a child realizes that something tastes good. It also helps when others set an example, so eat meals together whenever you can! Cook more meals at home. A homemade breaded chicken breast, for example, is healthier than takeout nuggets. Kids learn a lot about different foods and how to read food labels when they are involved in shopping for groceries and preparing meals―making them into healthier adults. Here are five more great reasons to cook with your kids. If nothing is working, or you are worried about your child's diet, call your doctor. Yes, picky eating can just be a phase. But it's important to bring up any concerns with your pediatrician, so you can brainstorm possible solutions together. Stomach bugs tend to be the nastiest illnesses our children bring home from school. Hand washing and keeping things clean are your best defenses from getting ill with a stomach bug. Not surprisingly, this is particularly true after touching or supporting your child and when preparing food and eating. Some viruses will survive on surfaces for days. And some viruses like Norovirus can even survive hand sanitizer. You have to use soap and water to kill it. But even with ridiculous, meticulous attention to hygiene, every parent knows that when the vomit is flying, it’s hard to lasso every single errant particle. So simply commit to do your best. Change the sheets and clean up areas of vomit immediately after supporting your child. Soapy warm water is your friend. Wash surfaces immediately, use hot water for the wash, and use high heat in the dryer. 24 hours (or so): In general, most pediatricians will tell you that vomiting doesn’t exceed 24 hours with typical gastroenteritis. Occasionally it can. Many kids don’t follow the rules. Once a virus that causes gastroenteritis takes hold of a child, vomiting starts. Children tend to vomit more than adults. Part may be an easy gag reflex. With most viruses that cause the “stomach flu,” as the infection moves through the stomach and intestines, vomiting stops after about 24 hours. But not always. If you advance liquids too quickly or children eat more solids than they are ready for, even after the first meal 1 to 2 days into eating again, they may have a vomit encore. If you have one of those, start back where you started (sips of clear liquids) and go very slow advancing their diet. If vomiting is accelerating at 24 hours, it is time to check in with your child’s doctor. Disgusting and terrifying: It’s creepy-eepy to take care of a child with vomiting. Not only is it entirely gnarly and disgusting to remove and clean chunks from vomit-laden carpet, sheets, and clothing, it’s also terrifying to provide support to a vomiting child because you can get equally uneasy about catching the virus. You’re not alone in this. It’s absolutely nauseating to see your own child ill, unwell, and retching. And it’s awful to imagine having to provide care while getting miserably sick. Do your best to keep your hands washed and keep the love going. As all of us know, when you find yourself picking out vomit bits from the carpet at 3:00 am, it really can only get better from there. Medication: Children rarely need medication when recovering from gastroenteritis. Although some antinausea drugs are available for use in children, most children don’t need prescription medications. Talk with your child’s pediatrician if you feel you child is vomiting longer than 24 hours or becoming dehydrated. Remember that vomiting is a protection reaction of your child’s body to clear infection. Soap, water, and bleach: William Osler said, “Soap and water and common sense are the best disinfectants.” Cleaning your home to avoid spreading infection is a must. You don’t need expensive products, just vigilance. With some highly infectious viruses that cause vomiting, even 10 viral particles can cause illness. So in addition to soap and water, consider using a dilute bleach solution to clean hard surfaces. Detective work: Sometimes you’ll simply never know where it all came from. But it won’t stop you from playing the role of infectious detective. The only issue: this is simply wasted time. Yummy, clingy love: There is an occasional perk to a terrible stomach bug. And we have to find one to maintain a sense of optimism. When our children are ill, they really turn over and show us they want us over anything else on earth. Then there is resilience. Children do very well recovering from typical viral gastroenteritis, although diarrhea can last for days. Even so, our children’s resilience will long astonish us. Take stock of sugar. In order to know how much added sugar is in food, it's important to be able to spot it on a label. Current food labels display total sugar—which includes natural sugars like those found in an apple—and may or may not include any added sugars used to enhance flavor. On average, Americans get about 13% of their total calories from added sugars, with the major sources being sugar-sweetened beverages and snacks and sweets. By July 2018, however, food labels must display "Includes X g Added Sugars" under "Total Sugars." This change makes it easier for parents to understand how much sugar has been added to a product. See Changes to the Nutrition Facts Label: What Parents Need to Know for more information and a side-by-side comparison of the original and new labels. It also helps to know the conversion of sugar from grams to teaspoons (i.e., 4 grams = 1 teaspoon). In a 2,000-calorie-a-day diet, for example, 10% would be equal to about 50 grams of sugar (or 10 teaspoons). Spot "sneaky" sugar. Many foods that are marketed as "health foods" can actually have a lot of added sugar. Always check the labels on sports drinks, smoothies, protein and granola bars, and yogurt; some can have as much as 4 to 5 teaspoons of added sugar per serving. Whole fruit makes a great substitute for these items and counts as dessert, too. If your kids balk at first (and they will), melt some dark chocolate and let your kids dip—and what kid doesn't love to dip! Dark chocolate actually contains 70% cocoa and has less than half the sugar of milk chocolate. Keep beverages simple. Stick with milk (including non-dairy milk) and water as your child's main beverages. While the American Academy of Pediatrics (AAP) does suggest 100% fruit juice can be an acceptable part of a healthy diet, be aware that it's wise to offer it in age-appropriate moderation (none routinely under 12 months of age and no more than 4 oz. per day for 1 to 3 year old children or 4 to 6 oz. for 4 to 6 year old children). In reality, it can be challenging to limit once kids get used to the sweetness. An alternative to juice would be to place sliced fruit into water to give it some flavor without the excess sugar. Also avoid letting your child sip on juice (or any other sugar-containing liquid, for that matter) for long periods. Whether by bottle, sippy cup, box, or cup, bathing one's teeth in sugary liquids can cause serious tooth decay. Avoid rewards with sugar. Whether it's at home, in the classroom, or on the sports field, far too often kids are rewarded for good behavior with sugary treats. In the quest to coax kids to eat better, parents may reward "one more bite of peas" with a sweet treat. While these kind of rewards may work in the short term, it becomes a problem when children learn to expect a reward for appropriate behavior. A few sweets may turn into expectations for larger rewards like cell phones and designer clothes as children turn into teens. Consider yourself warned! Change the culture. Far too often we celebrate holidays, birthdays, and other special occasions with sweets—making it challenging to curtail our kids' (and our own) cravings. However, kids value other "treats" just as much as sugary ones. With some creativity many of the sugary celebrations can be reinvented with new, healthier traditions. Talk to the teachers at your child's school, their coaches, scoutmasters, and other parents to come up with ways to celebrate with more fun and less sugar. If your child's sports team provides sweet treats after games, for example, suggest to the coaches that whole fruit may be a healthier alternative. In addition, plain water is the best drink for most children engaging in routine physical activity; the AAP clinical report on the subject says kids should not consume energy drinks and rarely need sports drinks. Find balance. Although we would like our kids to stay away from sugary treats as much as possible, we also want them to learn how to balance all the available choices when they are able to make food decisions for themselves. Keeping sugary treats under lock and key—or banning them all together—may also fuel an unhealthy craving for sugar. Show your children that an occasional dessert or sweet treat can be part of a balanced diet; model that behavior yourself! Sweets and snacks in appropriate portions are OK in moderation. By being educated about sugar intake and making the occasional sugary treat a part of your family's culture, you may find your children craving sugary treats and snacks less and enjoying them in a more mindful and balanced way for life. Parents and child care providers can help prevent and slow the spread of the flu. 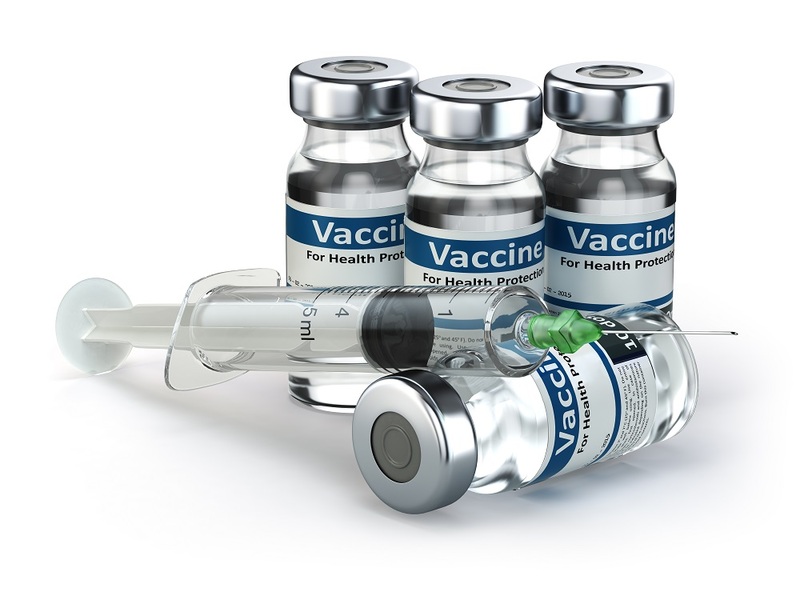 The flu (influenza) is a respiratory illness caused by a virus. Flu infections are highly contagious. They spread easily when children are in a group with other children such as in a child care center or family child care home. As summer winds down, families of school-aged children scramble to get backpacks, clothes and other supplies ready for the new school year. But one of the most important yet often overlooked necessities is healthy vision. As children grow and change from year to year, so do their eyes and vision. School demands intense visual involvement, including reading, writing, computer and chalkboard/smartboard work. Even physical education and sports require strong vision. If their eyes aren’t up to the task, a child may feel tired, have trouble concentrating, and have problems in school. Sometimes parents can tell if their child has a vision problem. For instance, their child may squint, hold reading material very close to their face, or complain about things appearing blurry. However, there are some less obvious signs of vision problems. Here are four signs that could point to possible vision problems in kids. Your child might seem to quickly lose interest in games, projects or activities that require using their eyes for an extended period of time. As your child reads (aloud or silently), they may have difficulty seeing to keep track of where they are on the page. Whether they are subtle or obvious about it, your child may choose to avoid reading, drawing, playing games or doing other projects that require focusing up close. A child may turn their head to the side when looking at something in front of them. This may be a sign of a refractive error, including astigmatism. Turning their head helps the child see better. Success in school is closely tied to eye health. That’s why it is so important for kids to have regular eye screenings with an ophthalmologist or another professional who is properly trained to assess vision in school-aged children. The earlier a vision problem is found and treated, the better off your child will be—in and out of school. If you have any questions or concerns about your child’s vision, be sure to ask your child’s doctor. We will be testing vision and hearing on September 11,2018. The above is an article I thought as a parent you may find interesting. this year than breast, prostate, lung, and colon cancer combined. helmets, we can also teach them to wear wide-brimmed hats. look like you've been in the sun, use a sunless self-tanning product instead. on cloudy days, and after swimming or sweating. can find the UV Index for your area online at: http://www.epa.gov/sunwise/uvindex.html. vitamin D. Don't seek the sun or indoor tanning. First, avoid being in the sun between 10 a.m. and 3 p.m., and stay in a shaded area as much as possible when outside. Dress baby in a hat, sunglasses, and clothing made with a tight weave. For babies 6 months and older, use sunscreen with an SPF of at least 15 (SPF 30 and higher is even better) that offers both UVA and UVB protection. For babies younger than 6 months, if adequate shade isn't available, put sunscreen in small amounts on exposed surfaces of skin. Always apply sunscreen at least 30 minutes before going outside -- even on cloudy days -- and reapply it every two hours. Even waterproof sunscreen loses its effectiveness after about 80 minutes of swimming. How to Treat: If your child does get a sunburn, the best remedies are cold compresses, over-the-counter pain relievers, and aloe preparations. As temperatures rise, heat exhaustion becomes a concern. Symptoms include fatigue, extreme thirst, and muscle cramping. If a person doesn't cool down and rehydrate herself, heat exhaustion can lead to heatstroke (signs are headaches, dizziness, nausea, vomiting, and lack of sweat), which is potentially fatal. How to Treat: If you notice heat illnesses in kids, spray them with cold water from a bottle or hose, fan them, and get them into the shade. Ice packs to the groin and armpits can speed up the cooling process even more. If you suspect heatstroke, call 911: Infants are vulnerable to heat-related illness, so keep them in air-conditioned areas when possible. And never leave kids in unattended cars, even with the windows cracked. Sadly, drowning is among the leading causes of accidental death in children. The American Academy of Pediatrics says parents should not enroll children under age 4 in formal swimming lessons that teach water survival skills. If you want them to play in water, supervise them within arm's reach, even in shallow water. Special Concerns: When choosing a flotation device, go for a child-size life vest. Little arms are less likely to slip out than they are with water wings. And when compared with using a swim ring, there's less chance of tipping over. Also, take a CPR course (find your local American Red Cross chapter at redcross.org) so you'll be prepared in case of a near-drowning incident. To further help you sidestep these summer spoilers, here's information on recognizing these plants: Poison ivy grows as a vine or shrub in the grass or on trees. Poison oak grows only as a shrub, usually in the western United States. Poison sumac is a tall shrub or small tree found in wooded areas of eastern states. The good news: the rashes (caused by oils from these plants) aren't contagious. Once the skin has been washed and clothing is removed, the rashes can't spread. Poison Ivy -- Look for three pointed, notched leaves per stem. Poison Sumac -- Six to 12 leaves grow in pairs with a single leaf topping stems. Poison Oak -- Looks like poison ivy, but tips of leaves are rounded. How to Treat: If your child's skin comes in contact with one of these plants, you have a window of about 10 minutes to wash away the rash-causing oil. If you don't catch it in time, a rash may develop within 12 hours. Use topical hydrocortisone cream and an oral antihistamine to calm the itch. Special Concerns: If the rash involves the eyes or if it covers a large portion of her body, contact your pediatrician. Oral steroids may be recommended for severe cases. Bees are attracted to flowers, so don't put fragrances or floral-patterned clothing on kids. Likewise, don't leave out open containers of food and drink, and if your kid's clothes get stained, change them. Should a bee land on or next to your child, remain calm and gently blow it away. How to Treat: If your child gets stung, brush the stinger away with the edge of a credit card. Next, apply a salve of one part meat tenderizer to four parts water and leave it on the area for about 30 minutes to neutralize the venom. Then apply cold compresses and topical hydrocortisone cream, and give an oral antihistamine to reduce swelling. You could also apply a paste of baking soda and water. Special Concerns: Bee stings often look worse the next day -- skin reactions are normal and may last up to a week. But some people have severe allergic reactions to bee stings that include all-over hives, difficulty breathing, dizziness or fainting, and swelling of the lips and tongue. These can be life-threatening reactions that require immediate medical help. If your child has this allergy, his doctor will prescribe an injectable form of epinephrine, a lifesaving medicine. When outside, cover children with lightweight clothing and use mosquito netting over strollers and infant seats. Ticks are also a concern, so check your child's body for them at the end of each day spent outside. When choosing bug repellents this summer, know that the most effective products contain DEET because it's proven to repel both mosquitoes and ticks. Products with a DEET concentration of less than 30 percent are safe for kids, but not for babies under 2 months old. Apply the repellent once a day and don't use combination sunscreen/bug repellent products. All-natural repellents, such as lemon eucalyptus and citronella, aren't proven to protect against ticks, nor should they be used in children younger than 3 years. It's safe to apply them on older kids. How to Treat: Topical antihistamine preparations can help relieve the itch of mosquito bites. If you find a tick on your kid, use tweezers to pull it off by its head. Ticks have to be embedded in the skin for about 24 hours to transmit germs. If you suspect a tick has been on your child for this long, contact your pediatrician. Copyright © 2008 Meredith Corporation. Originally published in June 2007 issue of American Baby magazine. 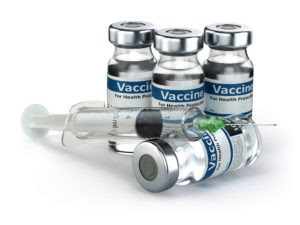 Remember if you need immunization before school starts, get them over the summer! YMCA Camp Lakewood is having 2018 Asthma Camp. Camp Catch-Ya_Breath in Potosi, Mo. Friday June 15-17. If anyone is interested it is a free camp for children with asthma and I have the information an the applications. They can also go on line at http://shp.missouri.edu/rt/asthma.camp.php. If you have any questions please feel free to call 573-637-2201. ​Children can get very sick if they come in contact with medicines, household products, pesticides, chemicals, or cosmetics. This can happen at any age and can cause serious reactions. However, most children who come in contact with these things are not permanently hurt if they are treated right away. 1-800-222-1222 is a nationwide toll-free number that directs your call to your local poison center. Call 1-800-222-1222 if you have a poison emergency. This number will connect you right away to your nearest poison center. A poison expert in your area is available 24 hours a day, 7 days a week. Also call if you have a question about a poison or poison prevention. You can find prevention information at http://poisonhelp.hrsa.gov. Be prepared. Post the Poison Help number by every phone in your home and program the number in your cell phone. Be sure that caregivers and babysitters know this number. If you find your child with an open or empty container of a dangerous nonfood item, your child may have been poisoned. Stay calm and act quickly. First, get the item away from your child. If there is still some in your child's mouth, make him spit it out or remove it with your fingers. Keep this material along with anything else that might help determine what your child swallowed. If your child spills a dangerous chemical on her body, remove her clothes and rinse the skin with room-temperature water for at least 15 minutes, even if your child resists. Then call Poison Help at 1-800-222-1222. Do not use ointments or grease. Flush your child's eye by holding the eyelid open and pouring a steady stream of room-temperature water into the inner corner. It is easier if another adult holds your child while you rinse the eye. If another adult is not around, wrap your child tightly in a towel and clamp him under one arm. Then you will have one hand free to hold the eyelid open and the other to pour in the water. Continue flushing the eye for 15 minutes. Then call the Poison Help number, 1-800-222-1222. Do not use an eyecup, eyedrops, or ointment unless Poison Help staff tells you to. If your child is exposed to fumes or gases, have her breathe fresh air right away. If she is breathing, call the Poison Help number, 1-800-222-1222, and ask about what to do next. If she has stopped breathing, start cardiopulmonary resuscitation (CPR) and do not stop until she breathes on her own or someone else can take over. If you can, have someone call 911 right away. If you are alone, wait until your child is breathing, or after 1 minute of CPR, then call 911. Keep all medicines and household products locked up and out of your child's reach. Use safety latches on drawers and cabinets where you keep objects that may be dangerous to your child. Chest colds, such as bronchitis, are also usually caused by viruses. Bronchitis is a cough with a lot of thick, sticky phlegm or mucus. Cigarette smoke and particles in the air can also cause bronchitis. But bacteria are not usually the cause. Most sinus infections (sinusitis) are also caused by viruses. The symptoms are a lot of mucus in the nose and post-nasal drip. Mucus that is colored does not necessarily mean your child has a bacterial infection. Some cases of the flu are both viral and bacterial. For these cases, antibiotics may be needed. Sometimes bacteria can cause sinus infections, but even then the infection usually clears up on its own in a week or so. Many common ear infections also clear up on their own without antibiotics. Some sore throats, like strep throat, are bacterial infections. Symptoms include fever, redness, and trouble swallowing. However, most children who have these symptoms do not have strep throat. Your child should have a strep test to confirm that it's strep, and then, if they're needed, the doctor will prescribe antibiotics. Side effects from antibiotics are a common reason that children go to the emergency room. These medicines can cause diarrhea or vomiting, and about 5 in 100 children have allergies to them. Some allergic reactions can be serious and life threatening. The misuse and overuse of antibiotics encourages bacteria to change, so that medicines don't work as well to get rid of them. This is called "antibiotic resistance." When bacteria are resistant to the medicines used to treat them, it's easier for infections to spread from person to person. Antibiotic-resistant infections are also more expensive to treat and harder to cure. A bacterial form of pneumonia or whooping cough (pertussis) is diagnosed. Your child has a yellow-green nasal discharge and a fever of at least 102° F for several days in a row. 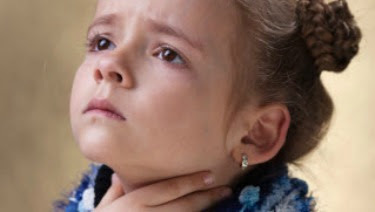 Your child has strep throat, based on a rapid strep test or a throat culture. If strep is not diagnosed with a test, antibiotics should not be given. No test is needed if your child has a runny nose and cough as well as a sore throat. Those are symptoms of a different virus. For infants younger than 3 months of age, call your pediatrician for any fever above 100.4° F. Very young infants can have serious infections that might need antibiotics. How Do You Get Rid Of Mucus? Clear mucus is nothing to worry about. This is the run-of-the-mill mucus your body always needs you to produce, so don’t be concerned if you notice a bit of this clear goo on your tissue. At times, your body might suddenly start producing a lot of clear mucus, and that can be an important sign. For example, people with respiratory allergies like hay fever may discover that their noses suddenly start running like a tap, producing huge quantities of clear, liquid snot. That’s a good indicator that you are too close to an allergen and are about to start suffering more extensive symptoms. It may also indicate other early respiratory issues, like the start of an ordinary cold. If your snot is coming out white and sticky, that means that there’s less water in the mucus than there normally should be. Having white, thick mucus can often indicate that you’re dehydrated and that you need to get more water into your system. If you’re getting plenty of water, it could signal that something else in your body is causing dehydration, like a low-grade fever that makes you sweat. White mucus can also mean that a cold or sinus infection is starting to develop. When white blood cells start to build up in mucus to fight an infection, they can turn the sputum milky white. Got yellowish or creamy colored mucus? That’s a sure sign that something is brewing in your upper respiratory system. If you have an infection, a cold, or even a really bad allergy, your body will respond by producing lots of white cells to fight off the attacker. White blood cells have a greenish tint, and in a low concentration, they can give clear or white mucus a yellowish hue. Green mucus is a great indicator that you have a bug that is settling in for the long haul. If you start blowing out green mucus, this could signal that an intense sinus infection might be getting its hooks into you. Finding green mucus in your tissue is a sign that you should visit the doctor. You should also be especially careful to watch out for green mucus that comes up from the throat and lungs. Coughing up wads of green goo can mean that you have something like bronchitis and pneumonia brewing. Both conditions are serious and require a visit to the doctor. Red or pink mucus almost always means that you have blood in your respiratory system — but don’t panic! It’s really easy to end up with pinkish mucus or bright-red blood in your tissue, especially if you’ve been blowing your nose a lot or have been trying to clear it of goop. The membranes get irritated and dry, and small blood vessels can break and cause the alarming color. However, be very carefully if you experience excessive bleeding. Contact your doctor right away should you start coughing or sneezing out large amounts of blood. If the bleeding will not stop, go to the emergency room immediately. Though mucus is not a pleasant sight, it’s generally nothing to worry about. Usually, if you find that your mucus has a brownish color, it’s because there is old, dried blood somewhere in your nose or your sinuses. If you previously experienced a nose bleed or a similar nasal injury, it’s not uncommon to have old brownish blood surface after the fact. Mucus that has been backed up for a long time, as in a sinus infection, can also appear brownish. One other possible culprit? Tobacco. If you chew tobacco or smoke cigarettes (especially hand-rolled), you may notice the tobacco staining your mucus a yellowish brown. Same goes for just about any other restricted substance that you can chew or smoke. Nobody wants to find black mucus on their hankie. Still, it’s usually not a big deal. Black mucus is often the result of inhaling a foreign substance, like smoke, soot, or ash. This may happen if you’ve been smoking or have been around smokers (or if you’ve been in any other environment where you may have inhaled fine, dark particles). Finding ashy snot just once or twice is nothing to worry about, but you should try to cut back on situations where you might inhale these particles. You could even consider wearing a breathing mask. Habitually inhaling foreign substances is not good for your body. In some rare cases, black or gray mucus may also signal that there’s a fungus causing your sinus issues. Go see a doctor, just to be safe. - Examples: Tylenol, Advil, Motrin, Ibuprofen, etc. - Red eye—if white part of eye is red and there is yellow or green crusty or gooey stuff in eye or has conjunctivitis. They must stay at home for 24 hours or more after medication has started.